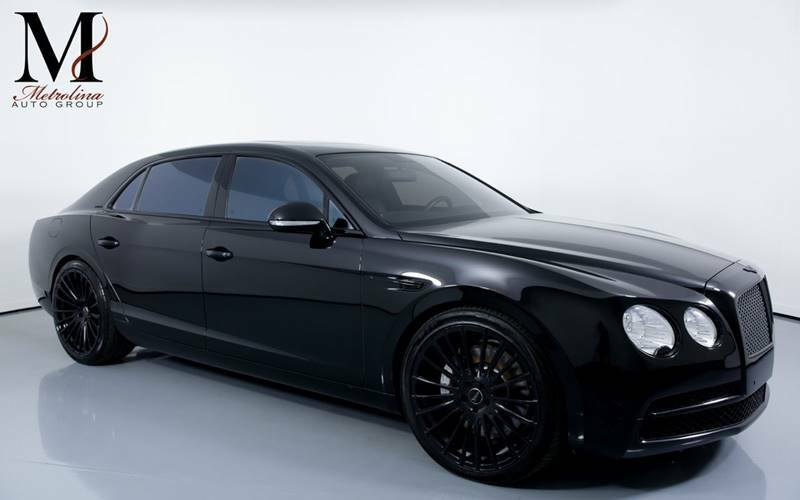 Sorry, we couldn't find any 2014 Bentley Flying Spur listings that matched your search criteria. Avg. Dealer Rating: (86 reviews) "The salesman contacted me, and he tried to supply the information I asked for, but we could not develop anything useful from what I was given. I have decided, based on what I was shown, to drop any further consideration of the car in question: the data I read raised too many worrisome questions about the car's condition and the possible invalidity of the reports about its service history." Avg. Dealer Rating: (40 reviews) "We drove hours to see this vehicle and when we pulled into the lot the new owner was driving off in the car Jake our sales person had left me an email saying the car was available just an hour before. The people drove 5 hours to purchase the care and the dealer knew they had it sold the day before! Very disappointed." Avg. Dealer Rating: (35 reviews) "Carco likes to bill themselves as wholesalers with low low prices. The truth is that the low low prices are to entice the public to shop there. They are not the final cost by a longshot. I shall NOT support the practice of additional "Fee's that are non-negotiable" that have NOTHING to do with the VEHICLE PURCHASE. Under the disguise of "Documentary Service" which totaled $688 there were three categories, messenger service, clerical fee and computer fee. When my wife asked about the fee, she was told "We'', we have to pay our electricity, etc." and the supposed supervisor just went with they "Told us up front and non- negotiable" The other two cant be related to title or reg as those are listed,I have BOS for anyone interested. Look folks, if you can't add your costs of running your business to the car price in the first place, but have to resort to this practice - NO DEAL. Obviously if the profit was placed into the price as it should be, they wouldn't get as much traffic into the lot"
Avg. Dealer Rating: (58 reviews) "I love them their energy and everything I'm glad I choose them because I love my truck low miles and fair prices Thanks omar"
Avg. Dealer Rating: (59 reviews) "Great treatment, honest , easy to work with, above and beyond working with me. Just fine people to do business with 10+ people "
Avg. Dealer Rating: (72 reviews) "Dealer was outstanding when it came to helping me get the exact car I wanted. They really went out of their way, in more ways than one, to make sure I was satisfied with my purchase! I wish I had found this dealership sooner! " Avg. Dealer Rating: (65 reviews) "Gina was very helpful and quick to reply. When I got to the dealership I didn’t feel pressured like I would normally do at other dealership. " Avg. Dealer Rating: (53 reviews) "Had a great conversation with Michael, I appreciated Michael's quick response to my questions. Excellent Customer Service." Avg. Dealer Rating: (89 reviews) "Great staff and sales rep. Very knowledgeable of the car I wanted. Great pricing. Good deal. "